It’s the end of August so the Aurora Borealis group I’m a part of on Facebook is booming with exciting posts and pictures from this year’s shows. Although the lights are around the entire year (basically any time there’s solar wind), you can only see them when the weather is clear and the sky is dark. 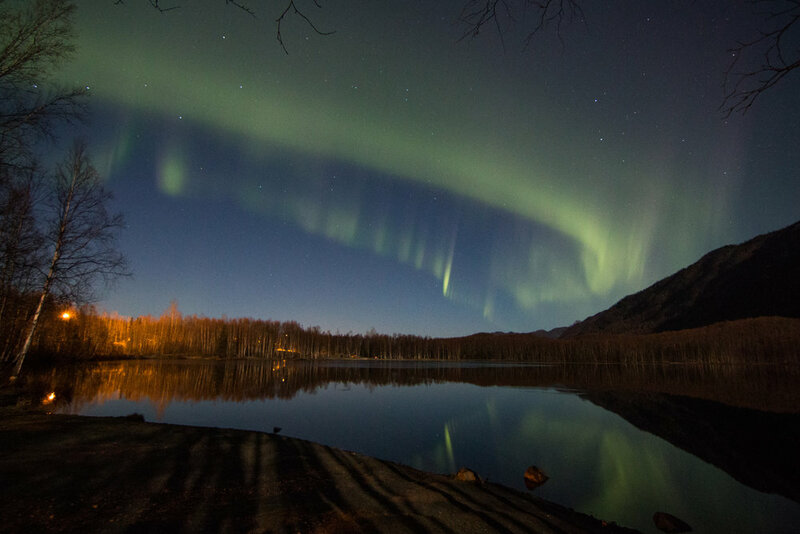 And since the end of August is essentially the beginning of fall in Alaska, it’s a great time to check up with the “My Aurora Forecast” app or the “Aurora Forecast” app. Both apps give you up-to-date information, but the first is a little more user-friendly for the average Joe (like me). The northern lights happen when charged particles from the sun collide with gaseous particles in our atmosphere. The different colors depend on which type of particle they are interacting with. That's the short explanation, anyway. 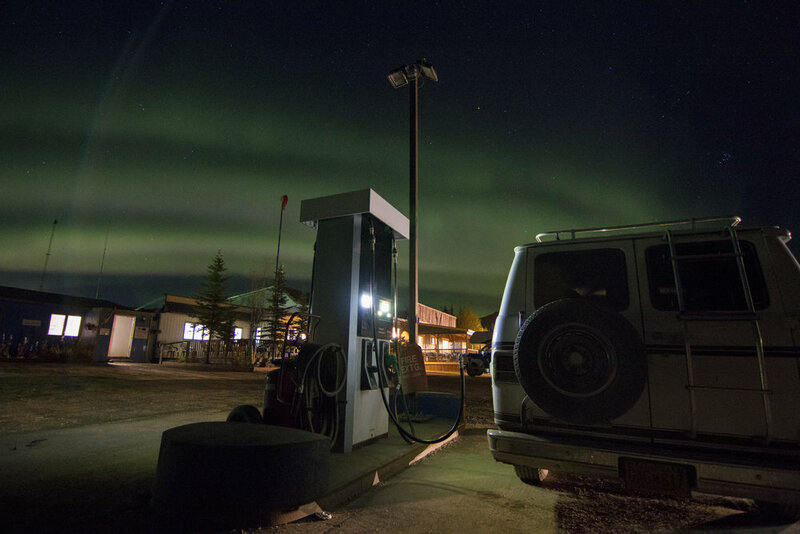 So you may be wondering: What is it like to see the northern lights? Is it worth braving the cold of Alaska/Canada/Europe/Russia/Greenland? The answer to the second question is YES. There’s a reason people put the northern lights on their bucket lists. The answer to the first question is a little tougher to describe, but I’ll do my best. Witnessing the sky erupt with vibrant colors that sway and dance is an unbelievably surreal experience. The ethereal display of hues swaying beneath the stars make you feel like you're on another planet. Words can't possibly do justice to this ineffable natural spectacle, and it's different every time. 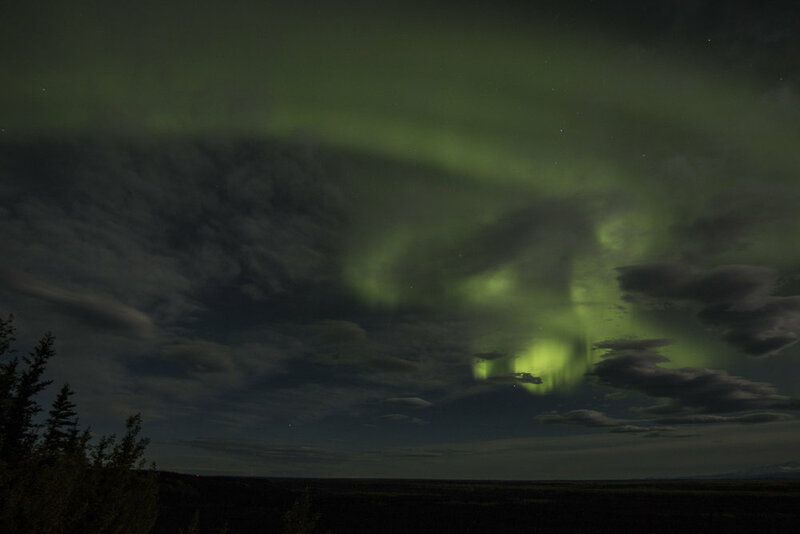 Depending on how strong the solar wind is or if you happened to find the perfect viewing spot, you could see a fuzzy green stripe across the sky or an incredible explosion of iridescent white, purple, green, yellow, and pink. We’ve seen shows with pulsating white puffs, luminous green bands with purple spikes chopping up and down, bright green ribbons oscillating at incredible speeds, and so much more. If you look up videos of the aurora borealis you can see a few examples of a show, but sadly it doesn’t even come close to illustrating the transcendent experience of watching the aurora borealis. (this poetic description is thanks to my amazing husband, Kevin). The most comfortable time to see the lights in Alaska is the end of August to the middle of October. We’ve found that September is the easiest because it gets darker sooner and the weather isn’t too frigid yet. People watch the lights all the way through the winter into the spring, but the weather is a lot harder to maneuver that time of year so be prepared. The further north you are, the better your chances are of seeing the lights. However, you can see them all the way out in Seward on big shows, so just keep on eye on your app just in case. There are even times people can see the lights in the lower 48 states, but those hues are nowhere near the power and beauty of the light shows further north. One of my favorite shows happened just outside of Paxson, Alaska when we were passing through the Denali Highway. 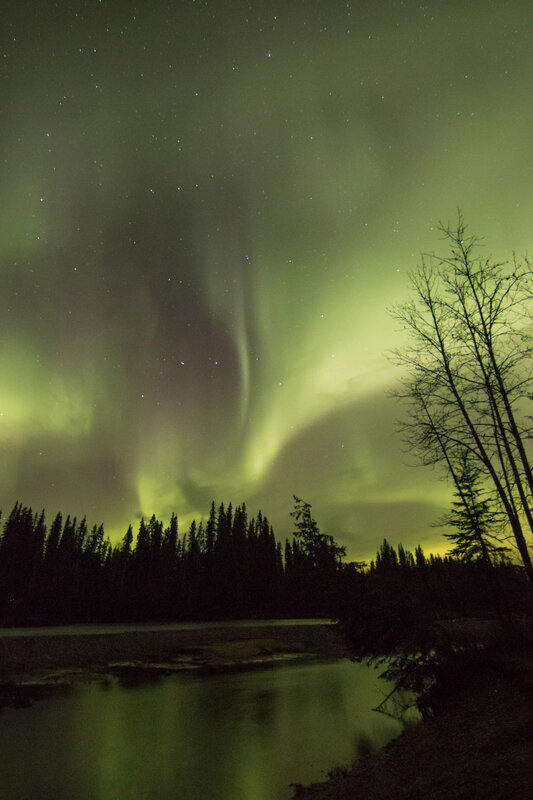 Kevin and I stopped our van on the edge of Tangle Lakes for the night and got to see an incredible show from 11PM to 2AM. Some shows only last minutes, but others can last all through the night. If you have a chance in your lifetime to see the northern lights, please do. You’ll never regret it.